State auditor Tom Schweich has faulted the budgeting of a Mo. Dept. 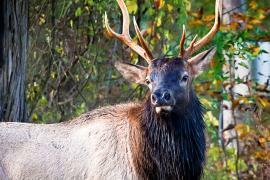 of Conservation project to restore elk in the state. A controversial Missouri Department of Conservation plan to reintroduce elk into southeastern Missouri is under fire from Republican state auditor Tom Schweich. In a report released today, Schweich faults the department for spending close to three times the projected amount to reintroduce fewer than expected elk. The report says the MDC projected it would cost about $411,000 to reintroduce 150 elk, but the state ended up spending $1.23 million for just 39 elk, of which only 36 have survived. Schweich says the budget the MDC proposed to the Missouri Conservation Commission - the department's policy makers - included the costs of capturing the elk in Kentucky, building holding pens, and for hourly employees. But the audit faults the MDC for not including salaried employees or the long-term cost of monitoring the elk, as well as for not estimating the cost of habitat improvements that would be needed. The audit report also says the Commission held several closed meetings about the elk project, in the violation of the Sunshine Act. But the deputy state auditor for Missouri, Harry Otto, says overall, the MDC is well-managed. MDC deputy director Tim Ripperger says the department actually spent less than the $411,000 it budgeted for the project in 2011. “The difference in the funds the auditor’s office is talking about and what we’re showing is in staff time, habitat management and improvement, infrastructure such as some road improvement, that sort of thing,” Ripperger said. Ripperger says most of the excess costs identified by the audit would have been incurred even without the elk reintroduction project. He says the project is ongoing and that the MDC still plans to meet its target of reintroducing 150 elk to the state over the next couple of years. In the audit report, the MDC also rejected Schweich's contention that it had violated open meetings laws, saying all the closed sessions were related to potential legal matters. Loose internal controls over procurement cards, including several documented instances when employees split the cost of an item into several transactions to stay within the limit for the card, and several cases where the user failed to solicit bids. The department says it's taking steps to ensure its employees know the rules about procurement cards. 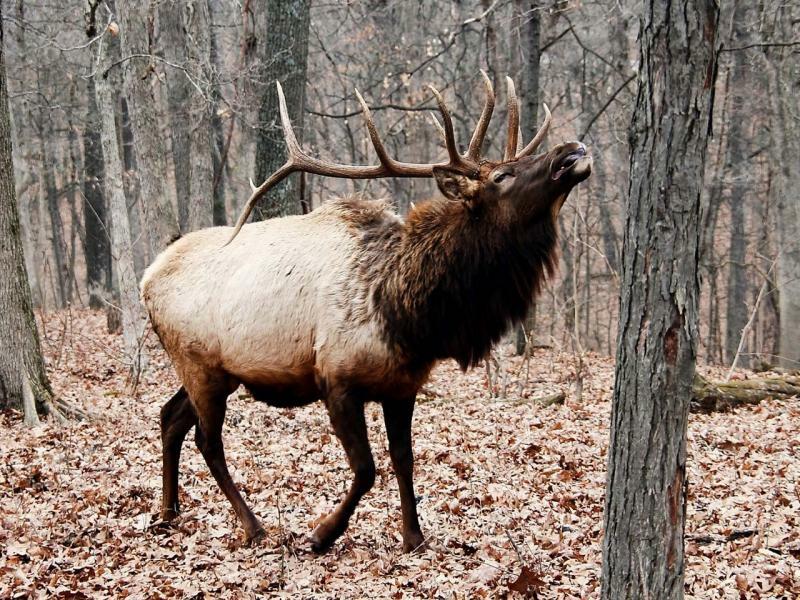 For the first time since the Civil War, elk are back on Missouri soil. 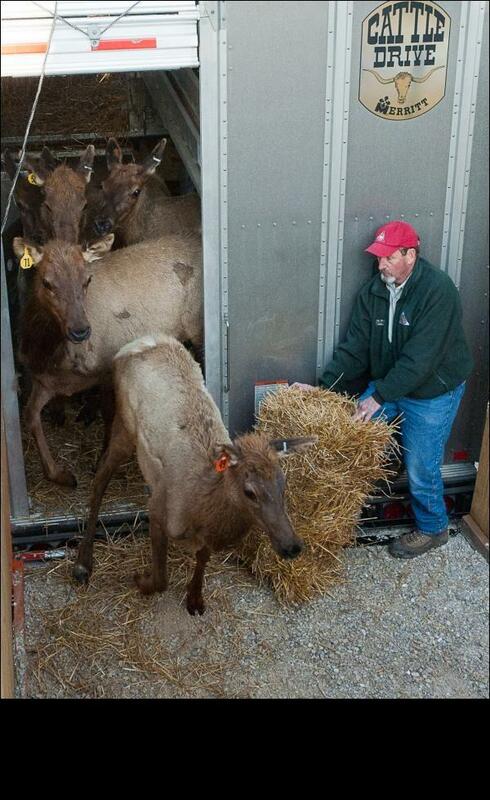 The 34 elk spent three months in quarantine in Kentucky before arriving today in southeast Missouri. 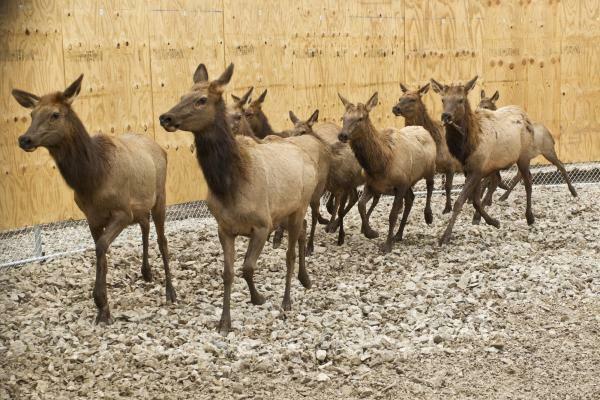 They'll be housed temporarily at the Peck Ranch Conservation Area, which is part of the elk restoration zone. The elk's arrival was delayed from April 30 so conservation officials could complete all the necessary health tests. The elk brought to Missouri early last month as part of a restoration project have been released from their holding pen. The Missouri Department of Conservation released the 34 elk along with five newborn calves on Wednesday. The adult elk and calves have been fitted with GPS radio collars as part of a cooperative research project with the University of Missouri-Columbia. The collars will help researchers track the elk's health, movement patterns and preferred types of vegetation.